M.C. 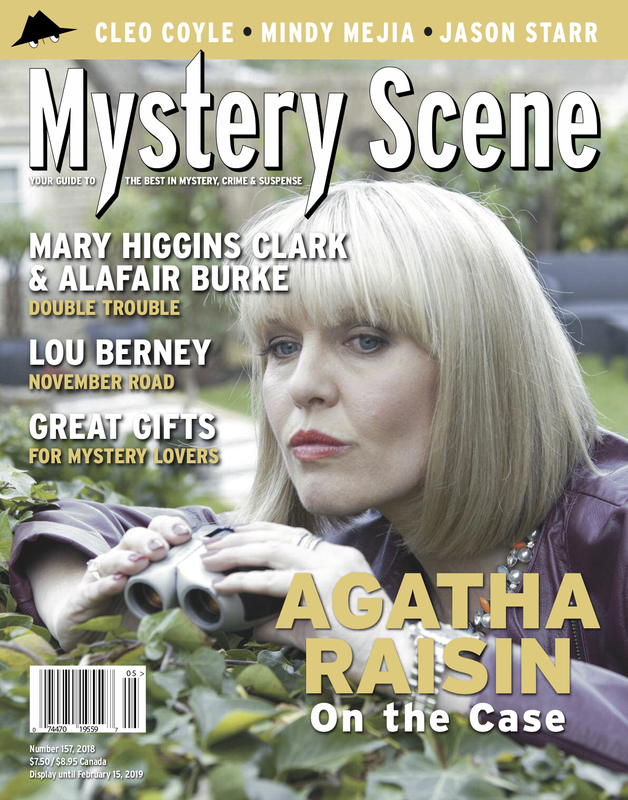 Beaton’s Agatha Raisin is one of crime fiction’s great curmudgeons. Rude, belligerent, and often self-sabotaging, she is on a constant quest to fit in with the inhabitants of her lovely Cotswold village, solve mysteries, and find true love—not necessarily in that order. Ashley Jensen played Agatha in the original UK show based on Beaton’s popular book series, and she reprises the role in Acorn TV’s new movies. Michael Mallory catches up with Beaton, Jensen, and Executive Producer Barry Ryan in his entertaining article in this issue. “I’ve had signings where three generations from the same family showed up together,” says Mary Higgins Clark. That’s no surprise for one of the best-known and best-loved writers working today—it also speaks to her long-running career in crime which began with Where are the Children? back in 1975. Without slowing her own annual output, she’s been collaborating on the Under Suspicion novels with author Alafair Burke over the past four years. The duo talks to John B. Valeri about the ins and outs of cowriting. 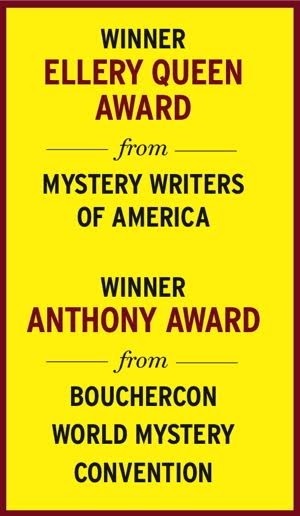 Lou Berney’s last book, The Long and Faraway Gone, won an Edgar Award last year and his new book, November Road, is one of the season’s most hotly anticipated, and highly praised, titles. Oline H. Cogdill catches up with Berney in this issue. Likability just isn’t that important or interesting to me as a reader or as a writer. I don’t care if my characters are the world’s biggest assholes as long as they don’t seem fake. Starr is doing something right, as his long and successful career attests. On one hand I want to show them everything amazing and unique about Minnesota, and on the other hand I want them to continue flying over so we can keep this place to ourselves. Marc Cerasini and Alice Alfonsi, the husband-and-wife duo behind the Cleo Coyle pseudonym, started out pursuing their careers separately. It was a media tie-in work of fiction attached to the TV series 24 that put their heads together. It was the beginning of a long and interesting collaboration, as they tell John B. Valeri. Tom Pitts, Nancy Bilyeau, and Patricia Smiley all share news on their latest work in their “My Book” essays. And don’t miss Kareem Abdul-Jabbar’s “Writers on Reading” essay on page 67—it’s terrific! "Early on, I discovered the sometimes remarkable distinction between public appearances and private tastes."